A while back, I decided to build myself a new rig on the account of many random failures. Being one of the few that insist on retaining an optical media drive, I couldn’t resist picking myself up a new Blu-ray burner. After all, the feedback I received when I put out the CMCMAG-BA5 article was that Lite-On drives weren’t good burners, and I knew that my LG GGW-H20L was a bit dated and its media support was beginning to be limiting. There weren’t many options, but I heard good things about Pioneer burners, so I decided to spring for one at my local MSY with no idea what I was going to get. As it turns out, they were selling the Pioneer BDR-209DBK 16x model, which appears to be an OEM model (no software, manual, screws, cable or box) but for a relatively reasonable price of AU$85. It was definitely faster than all the models I have owned, and in some ways, unimaginably fast when we considered 6x and 8x to be technically challenging merely a few years ago. On paper, their brochure fully specifies the drive’s capabilities. Unfortunately, BDXL and DVD-RAM write support is absent, the CD support tops out at 40x but in general, it’s a pretty good spec. Interesting is that we have reached a stage where you might be able to write a Blu-ray faster than you can read it, which boggles the mind but is also somewhat illogical since writing is a more strenuous operation than reading. I have a feeling the drive has no good reason for not reading Blu-ray at 16x, maybe aside from preventing wear-out, heat and noise. So maybe it’s best to think of the 16x capability as marketing in action, whereas in reality, you will likely be sticking to lower speeds. 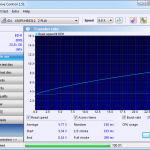 In initial testing of the drive as a general purpose optical drive, the tray mechanism impressed me with its smooth and relatively fast operation with a very quiet “wooshing” noise when working at high speed with no perceivable vibration or humming. The 4Mb buffer, while not the largest, is not the smallest either and would come in handy seeing the high transfer rates which may be needed under 16x operation. My primary interest, as always, lays in how well this thing can write Blu-ray discs. While this type of disc is specified for 4x operation, the Pioneer happily offered to overspeed this to 10x. In the past, on Lite-On drives, such options very often led to very marginal burns, so I approached this option with some caution. The walking optimum power control (WOPC) algorthm interrupted the burn quite frequently, however, when read back on the burner, it looks as if the burn is trouble free except for a very slight undulation in the readout speed curve. 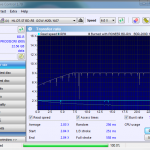 A quality check on the Lite-On shows the burn to be of excellent quality, easily exceeding the requirements of LDC average <=13 and BIS maximum <=9. In fact, excluding the one peak, the BIS values mostly remained under 4! Never have I seen this level of performance! Cross-checks on the Lite-On, LG, Matsushita show that the disc was read with no trouble at all. This got me thinking, will reducing the burn speed improve the quality? I had quite a bit of PRODIS-CR0 around, so I decided to give it a try at 8x. There were slight undulations in the readback on the Pioneer, but nothing serious. The writing showed regular WOPC dips, with some “deeper” ones. In the disc quality check on the Lite-On, there were a few spikes which might have been dust related, but overall the burn quality is still very much acceptable. Interestingly, the burn quality appears to be slightly worse than the sample at 10x, because both the LDC and BIS averages have risen. The LG had a few minor read-back undulations but nothing severe. 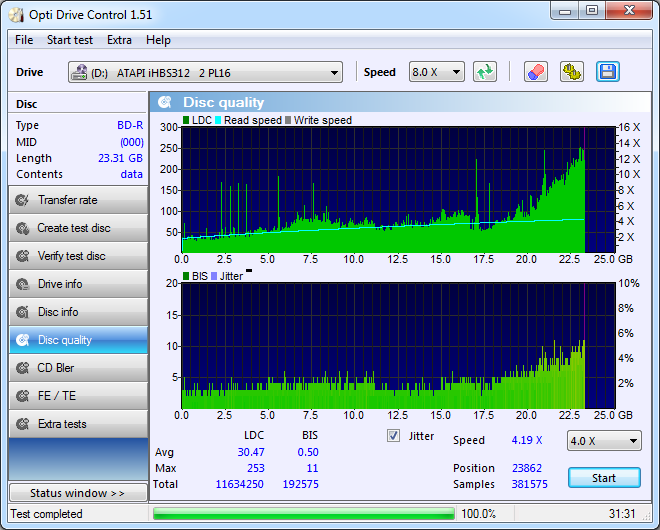 All drives were generally happy with the burn. Lets see what happens if we go down to 6x. Again, minor undulations in the readback speed, and W-OPC is evident. It’s interesting to see the P-CAV strategy is retained down to 6x. Thankfully, there’s no evidence of the burner using Z-CLV strategy. The Lite-On scores this burn even worse than the 8x one with the average LDC and BIS rising, although the BIS spikes aren’t around. 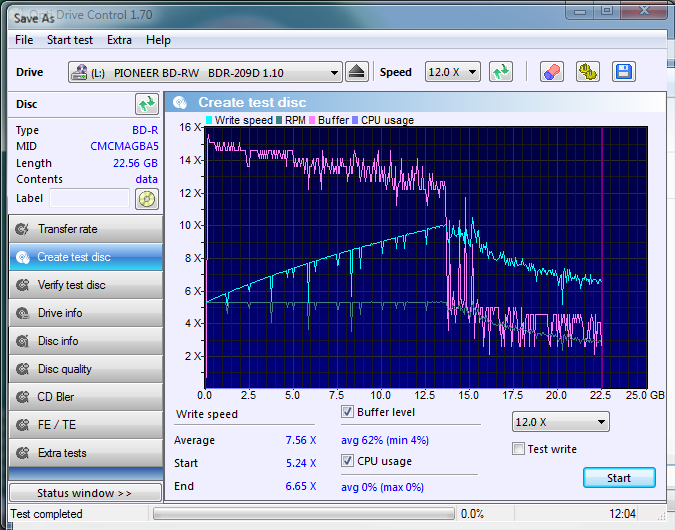 It’s not a terrible burn, and looks like what the average Lite-On produces with an average CMCMAG-BA5 disc at 4x. It seems burning at 10x and severely overspeeding the media is preferable. Isn’t that strange? Cross-check drives appear to be perfectly happy with the result. Lets give the wheel another spin at 4x, the rated speed of the media. 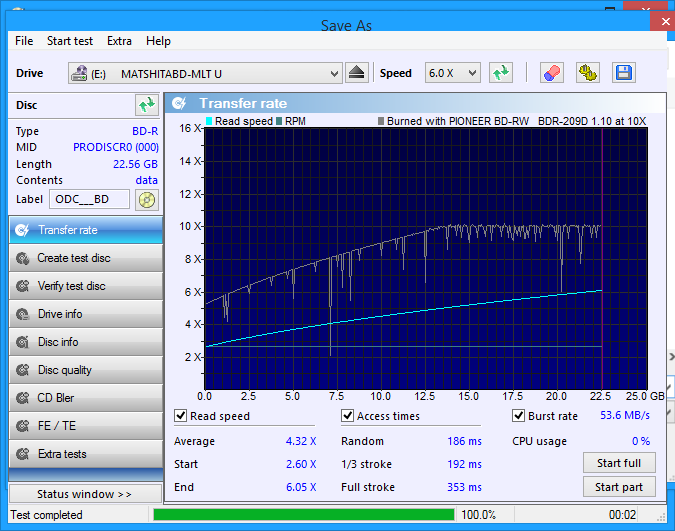 Burning at 4x produced severe slowdowns during burning as W-OPC was doing adjustments. There are slight readback speed undulations on the Pioneer, which suggest potential media issues. But it doesn’t seem this is the case, with the Lite-On showing the disc as having a very good burn. It still doesn’t seem to match the 10x result, which is a big surprise. The Matsushita drive had a slight dip toward the end, but nothing serious. 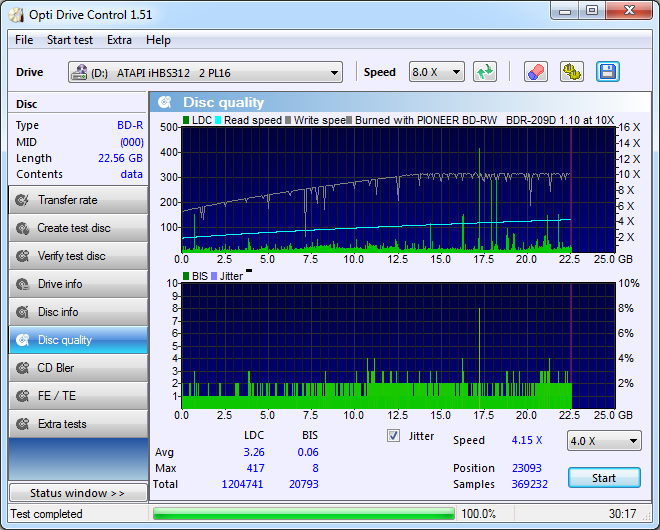 In general, the rest of the drives were happy with the burn. Impressively, again, the Pioneer offered to overspeed this media. In this case, it offered 12x, but due to a bug in ODC’s Create Test Disc feature, it could not serve up data fast enough to create a good burn. Instead, I used Imgburn’s Discovery feature to burn a full disc at 12x for quality checking. I verified the indications to ensure the disc actually achieved 12x, which it did. The Pioneer happily read its own burn at 12x with minor deviations from the ideal curve. The Lite-On thought this burn was somewhat marginal, with the LDC/BIS rising strongly towards the end. The average values are a bit high, and the peak value is a bit high too, but this is not an immediately fatal burn. It’s merely an average to poor burn. This is agreed upon by all the cross check drives which read the disc back with no issues. Interestingly, as the disc was made with Imgburn’s Discovery mode, the LG GGW-H20L doesn’t misidentify this as a Video disc, so it reads back at 6x rather than 2x. Can the Pioneer redeem itself when burning at the rated 6x? Lets find out. See a pattern? Minor undulations in read-out. Maybe that’s got to do more with my system than the drive itself. While the values get a little better, the burn quality with CMCMAG-BA5 discs are still firmly in the “marginal”/average territory. It doesn’t seem like the Pioneer is going to make good burns with this disc, although I did not test slower speeds which may help. Cross-check with the other drives did not reveal any problems. The Pioneer does it again. It’s amazing. It claims this disc is good for 8x, so lets give it a twirl. 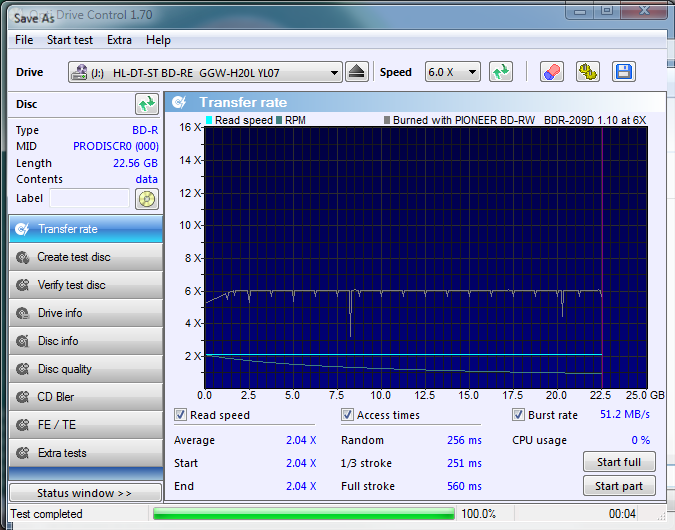 Severe WOPC slowdowns were seen, but the readout seems fine. The burn result has the average LDC a little high, but it generally stays within the limits for BIS peaks. An acceptable, good burn. Cross-check drives were happy too. But what if I burn it at the rated 6x? Again, some undulations here and there, nothing serious. The burn quality, however, improves leaps and bounds. The spikes are likely imperfections in the media or dust and in general, the average LDC and the (minus peaks) peak BIS value are both within check. All the other drives seem to agree as well. The Pioneer should really be called the speed demon, because it offered to overspeed this 6x LTH BD-R to 8x. Every disc used so far has been oversped! The burn proceeded with some WOPC action, readback of LTH is capped at 8x on the Pioneer. The burn quality is a little peaky, with some peaks exceeding 9 on the BIS scale but only transiently. The average LDC is within check, so the burn is relatively good, especially when overspeeding is taken into account, but not the best burn with the media (LG GGW-H20L at 2x gives us almost unbelievably good results). Well, surprisingly, this is a top notch branded media and yet this is the first in my collection the Pioneer does not offer to over-speed. Burning at a leisurely 4x, with no problems, the readback looks just fine. The cross check drives don’t seem to notice the elevated errors, as they have not reached a magnitude which causes reading difficulty. 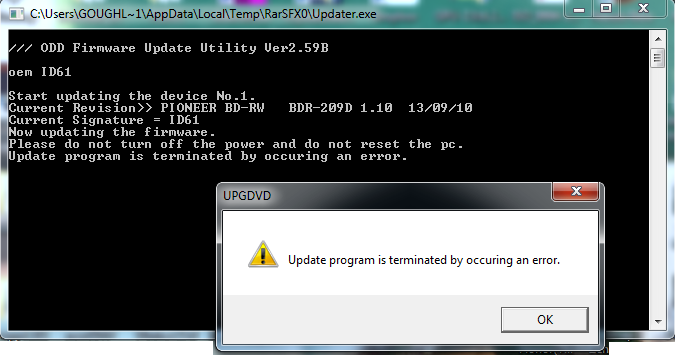 Well, as it turns out, it seems that the drive must have some OEM coding, because while it was shipped with firmware 1.10, attempting to update to firmware 1.20 always failed with an error even though the firmware should have been technically compatible. I haven’t been able to find a way around this. There is also no published media support list on Pioneer’s website, and without the tools to break-down the firmware, it is still an “unknown”. The Pioneer is now my go-to burner when I need to burn a BD-R. It shows exceptional overspeed capabilities with several media, while retaining unbelievably good performance. It seems that the WOPC algorithm is implemented very very masterfully, so despite slow-downs and periodic burn interruptions, the result is almost always without severe error patches unlike earlier WOPC implementations. The burn quality is not always great but no unreadable discs resulted even in the most severe overspeed situations. Some media didn’t perform as well as others, but none of them were truly botched burns (unlike the Matsushita Slim drive). It’s also quite quiet, with much less noise and vibration than other drives I’ve used in the past. It’s a good drive which I can easily recommend, but the problems with firmware updating do have me a little concerned especially for media support into the future. Well, a member on myCE asked me if I could check on the chipset inside, so I thought, I might as well take a few photos of the drive since it’s out. 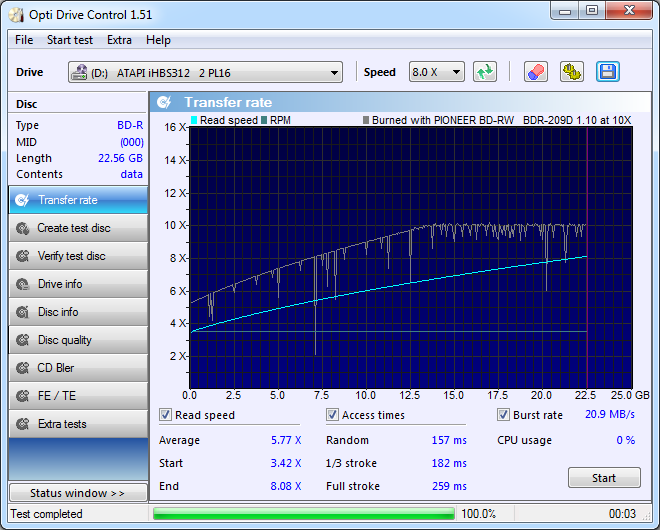 My drive is a January 2014 model, which is relatively recent I suppose. It is Made in China. 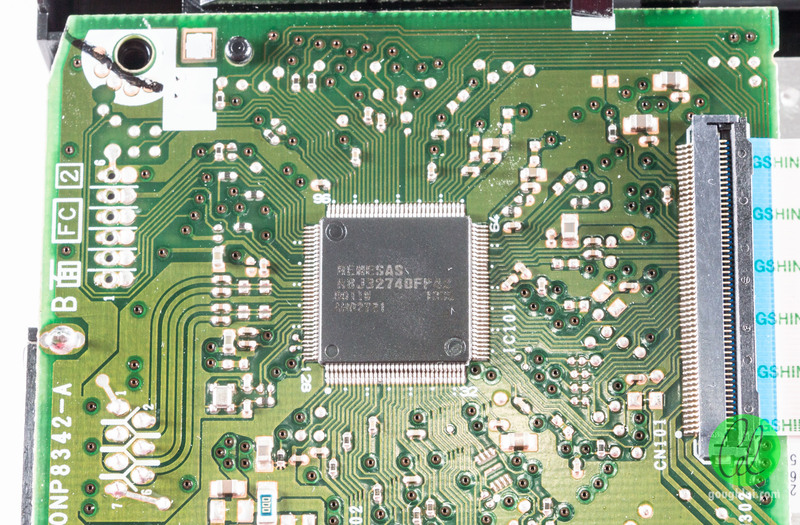 The rear, as we expect, doesn’t have much – only the SATA data and power connectors. The front is a lovely understated matte black plastic affair with a single green LED. Nothing shouty about it, but it’s a very nice drive. Well, strangely enough, there is no warranty seal across the shell on this drive. If there was, I would have cut right through it anyway. I’m not afraid of taking a few things apart. As it turns out, under the thermal pad, the main chip is a Renesas R8J32840FP48. 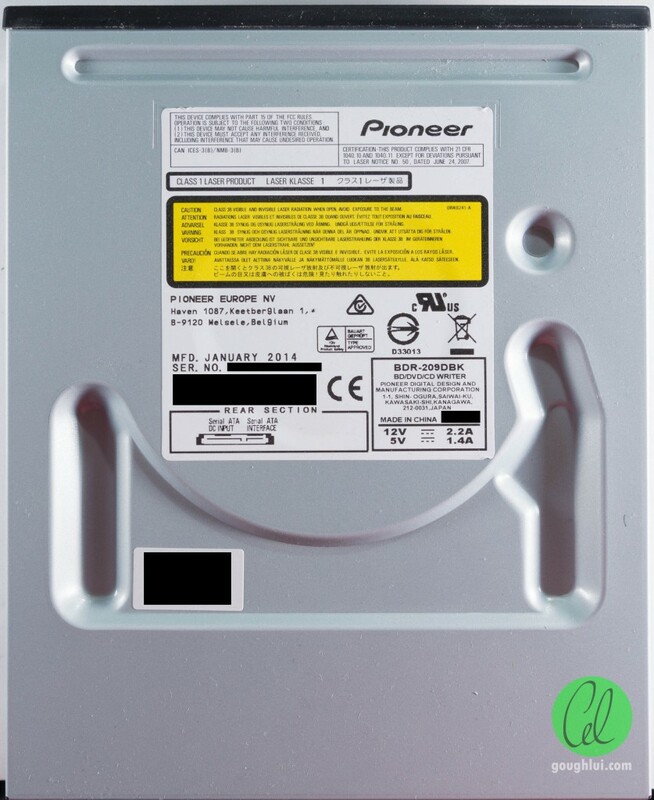 The FP48 designation is probably the package size, and a quick search for R8J32840 seems to suggest this is shared by several of Pioneer’s Blu-Ray writers. It follows in the tradition of Pioneer using NEC chipsets, with Renesas being the branding since NEC merged with Renesas Technology. So there we are, mystery solved. 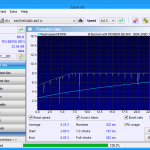 This entry was posted in Computing and tagged bluray, computer hardware, new stuff, optical disc, review, storage, teardown, tested. Bookmark the permalink. Forget what you might get from Pioneer’s Usa Website, the real deal comes from the japanese’s website. Hope you’ll be able to update your burner now to the most up to date version. The media support list is interesting – it’s a little shorter than one would expect, and it seems the only 16x supported BD-R disc is SONY__NN3. 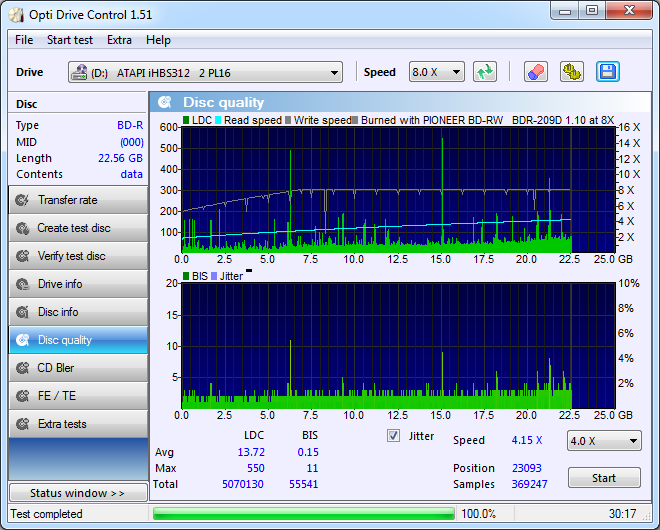 Likewise with 14x DL recording, only one is available MEI__RB1. Marketing at its best :). It also seems that 5x, 3x and 2x DVD-RAM writing is actually supported. I will keep your advice of ignoring Pioneer USA in the future. Unfortunately, the firmware still remains a bit of a mystery. I always get this error no matter what I do – different computer with fresh Windows 7 install running the app with Admin privileges, ensuring all anti-virus is disabled and all disc-emulation/decryption is uninstalled. I suspect it may have something to do with some artificial firmware restriction, even though the series of firmware (1.10 to 1.20) sounds logical. The new firmware’s addition of BDXL support sounds very interesting if those discs ever take off (which I doubt). However, nothing is listed for Quad Layer just yet. Thanks for the reply – I have given it a go but it seems I can’t flash this one either. I get the same error as the screenshot as I put in the comment above – you will note that flasher is for ID 61 as is the drive is ID 61. This was despite running as administrator. Maybe it is a problem with SATA chipset compatibility. I got the same problem. I solved it running the update program for the oem ID61 with compatibility mode in Windows 7 x64. Been looking for information on this one, thanks for the test. Kind of surprised Verbatim blanks seem to be doing worse than the rest. Or maybe you can offer advice on which blanks to take for longer life & good burns with this drive? The PRODIS-CR0 ones had great burning quality, but as you said yourself, there is the question of longevity…. It’s likely due to the rarity of LTH media and lack of use that the burner hasn’t been quite optimized with the 1.10 firmware that was tested. Unfortunately, as a hobbyist, it doesn’t make sense to source too many different variety of blank media, but I suspect the VERBAT-IM_ (i.e. VERBAT-IMe, VERBAT-IMc etc) regular HTL media should perform well. I don’t have any plans to stock up on any of the media at this time, however, predominantly for price reasons (a spindle of 50 costs more than the burner itself). When you chase value media, longevity issues may be an issue. So far, I have had no failures of the PRODIS-CR0 yet, although (I haven’t posted this yet), I’ve come across two different varieties of PRODIS-CR0 with different BCA patterns, and I’m not sure the performance of both varieties are going to be similar. This situation is reminiscient of the PHILIP-R04 discs which also had several different manufacturers in time. From what I know, all LTH BDs have to be visibly labelled as such, do the manufacturers uphold that from your experience? In general, they will mark LTH media as LTH and anything without LTH clearly stated is the regular HTL media. 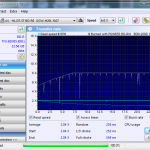 The reason for this is compatibility – many earlier burners cannot write to LTH media, and even after it is burnt, many readers cannot read LTH media as the marks are “reversed” (to my knowledge). Some can be firmware upgraded (e.g. Sony Playstation 3) to receive LTH readback support, but many early PC based drives don’t have such luck. The other thing is that LTH media burns and readback are often slower, and it’s known their longevity is much poorer due to the use of organic recording material. In general, I cannot recommend LTH media except as a curiosity, although to see the big names (i.e. Taiyo Yuden/Thats and Verbatim) make the media seems rather surprising as the lower cost was a big selling point that didn’t seem to eventuate. The reason I test LTH is mainly to verify compatibility, as I had bought two spindles of 10 as a curiosity, and I’ve kept the media just for tests. Some news from Pioneer at last !!! I guess maybe this time you’ll be able to update to the latest version. -RITEK_BR4 (What a surprise !!!!). Thanks for the update – yes, what a surprise there! I still won’t touch Ritek media with a pole given that I’ve lost a total of 19 discs – all of my 2x Riteks are completely shot. I can confirm the update was a success on my drive, which is great news – wondered why the 1.20 update was never accepted by the drive, and never really got to the bottom of that one. Thanks for your tip, but *my* firmware update wasn’t caused by that. I’m on an AMD machine, with no Intel controllers. The prior firmware update wouldn’t take for reasons I still do not know. I’ve tried using the regular Microsoft AHCI drivers with no difference, but the latest firmware update version works on the same configuration, so go figure. That being said, yes, in the past, firmware update recommendations included using safe mode or removing the drivers for your storage controller and reverting to the Microsoft drivers temporarily due to interference. I mounted the drive in an old computer running winXP and the firmware upgrade worked fine while in win7 every different versions of the firmware updater failed. Any ideas how to revert back to 1.20 from 1.30? 1.30 decreased dvd+r DL write quality significally, for me. I don’t think you can revert firmware versions using the official flasher. Maybe it would be good to ask on myCE forums to see whether there are any special tools for this purpose, or a modified version of the flasher which will do it. This drive has riplock. For me Blu-rays are mainly ripped at 2x. Dvd:s rip much faster (no riplock). Does anyone have any idea where should i send email or fill contact form to request support for certain media (such as ricohjpn dvd+r dl) and complaints of reduced burn quality? I mean there are localized Pioneer websites for so many country.. Which one would most likely even hear me out or even look into the issues? For the ricohjpn issue this Pioneer always burn coasters, while my laptops LG burner does very well (tested with optidrivecontrol). I think you’ll have to contact .jp, as that’s where the brand is based in, although the USA contact might have a better chance of understanding English. Unfortunately, I don’t think they heed customer requests so much, and RICOHJPN based +R DLs have always been troublesome for me except on LG burners in my experience, so … where DL is concerned, I tend to stick with Verbatim as Ritek doesn’t really cut it on quality. Thanks for the comments. I suspected Riplock. But for some reason it “seems” that DVDFab (ver. 9.1.8.8) runs at rated speed. 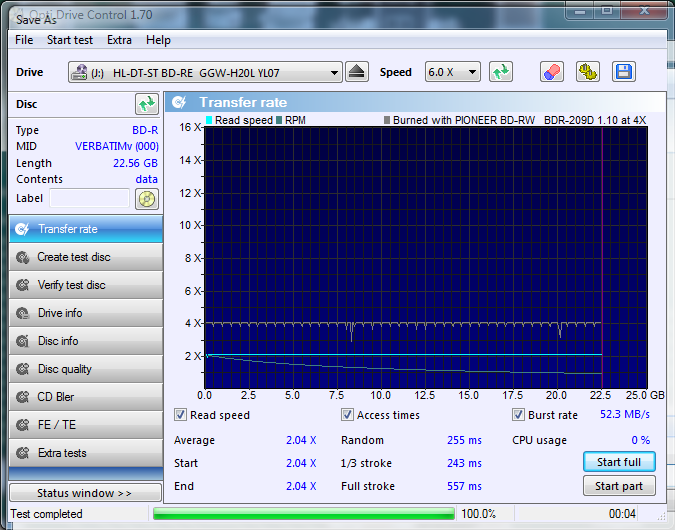 Mind you I haven’t tested, even though I have Opti Drive Control; I have not installed. I will have to check it out. I also recall seeing somewhere that Pioneer firmware update program may not update properly on Windows 7 unless Intel Matrix Storage Manager is running. Not that I understand what signifies. So I have original ver. 1.30 of the firmware running. Would you please share a few blank DVD-R and M-Disc DVDs you recommend to get the best burn quality from this drive. I ordered one of these drives and when using the terminal command, $drultil list it reports back a BDR 209M. It turns out that the 209M can do Bluray M discs. See https://pioneer.jp/device_e/product-e/ibs/device_e/pdf/BDR-209M_A.pdf for more. It is interesting that the box, the sticker on the drive all reference a Pioneer BDR-209DBK but probing via the terminal it’s a 209M. I thought you might find this interesting. sorry for the type, that should be $ drutil list.